Yay! Tomatoes are finally popping up in the garden. We have a nice crop of beautifully colored heirloom tomatoes. I decided to throw some of these babies in with sauteed long beans. 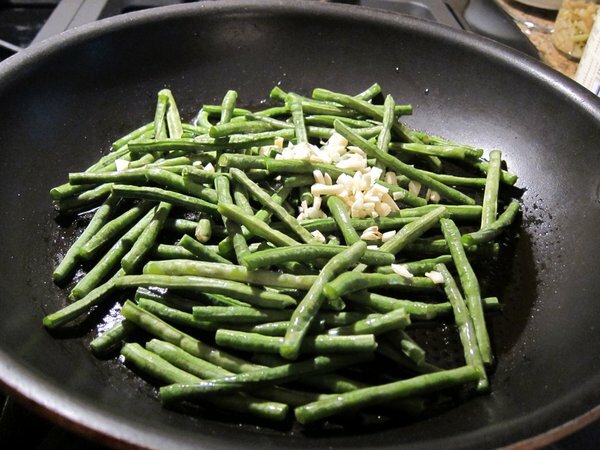 First, I sauteed about a cup of long beans in olive oil with 2 cloves of minced garlic. Long beans are not meant to be eaten raw, so if you have them, make sure you cook them. They maintain their crunch even if they wilt, if that makes any sense. 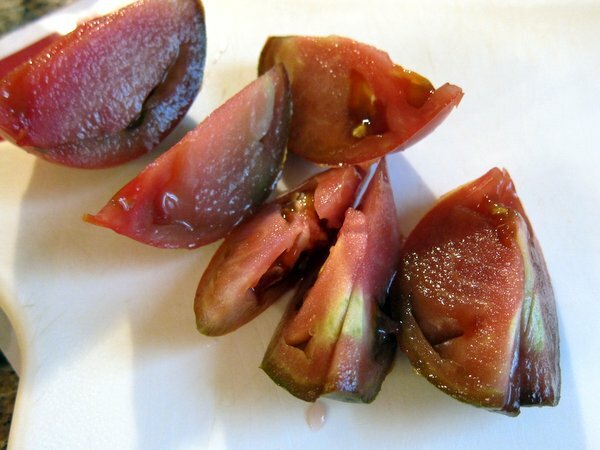 I cut up one of the tomatoes. 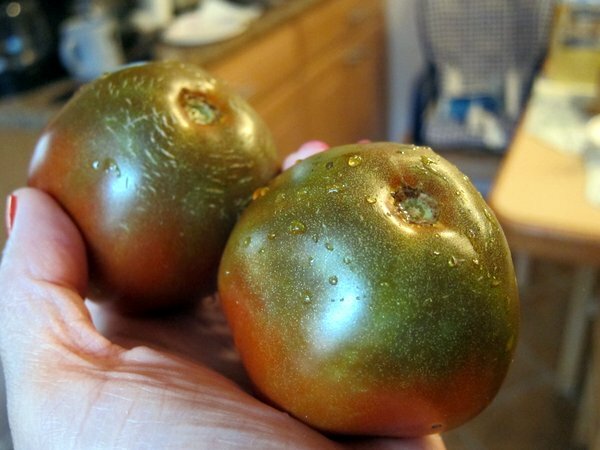 Unlike the other tomatoes that we grow in the garden, these are much more meaty, less juicy, but still sweet and tasty. I love that the tomatoes we grow in our backyard require little to no embellishment to be tasty. You can eat them like apples! I boiled some penne, coated it in olive oil, and threw in freshly minced garlic, fresh ground black pepper, and nutritional yeast. I topped it off with the cooked beans and the raw tomatoes. What an interesting colour those tomatoes are. 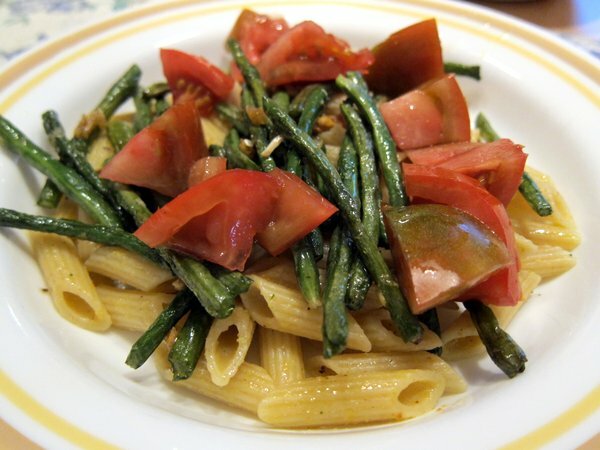 At first glance, I thought they were golden… Delicious looking dish, I’ll have to keep my eye out for long beans. Tomatoes and beans = the best!